Want to cut down on the number of wild pitches and past-balls for your youth baseball or softball team this spring? Want your pitchers to be more confident and throw more strikes? Want to cut down on the number of runs your team gives up? The solution is as simple as teaching your catchers proper positioning in relationship to the batter. When a catcher has their arm extended to catch a pitch, we want their glove to be no more than 4”-6” behind the batter’s rear foot. Many youth catchers position themselves three or four feet behind the batter’s rear foot. When the catcher is positioned too far behind the batter it puts additional pressure on the pitcher. Simply getting the ball to home plate is a challenge for a lot of young pitchers. We don’t want to compound that by having our catcher further away from the pitcher than necessary. Having the catcher positioned properly helps older pitchers as well. They can throw off speed pitches (which travel on more of a downward plane) with greater confidence, knowing the ball is less likely to bounce before getting to the catcher. Pitches thrown to a catcher positioned too far behind the batter tend to be higher in the strike zone. Off speed pitches that are up in the zone usually get hit harder and farther. For all levels of play, the closer the catcher can receive a pitch in relationship to the batter, and home plate, the better chance those pitches are called strikes. The pictures included with this article, of pro catchers, show the catcher’s positioning in relationship to the batter. 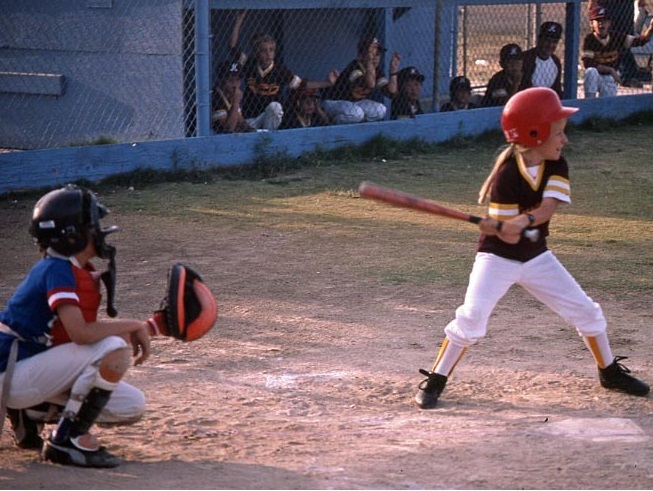 The other pictures, which may look familiar, illustrate the distance commonly seen between a youth catcher and a batter. It is understandable that kids set up so far back - they don’t want to get hit by the bat. We want to educate our kids on the swing plane of the bat, so they recognize they can confidently set up much closer to the batter knowing they will not get hit. Get your catcher in their stance and have them fully extend their glove arm. Stand in as a batter, so that your rear foot is only 4”-6” in front of their glove. When working with a younger catcher, you can stand with the back of your rear foot even with their glove. Younger kids generally don’t have the strength to fully extended their arm when receiving a pitch, so they can be positioned a bit closer to the batter. Once you (as the batter) and your catcher are set up, slowly swing the bat. 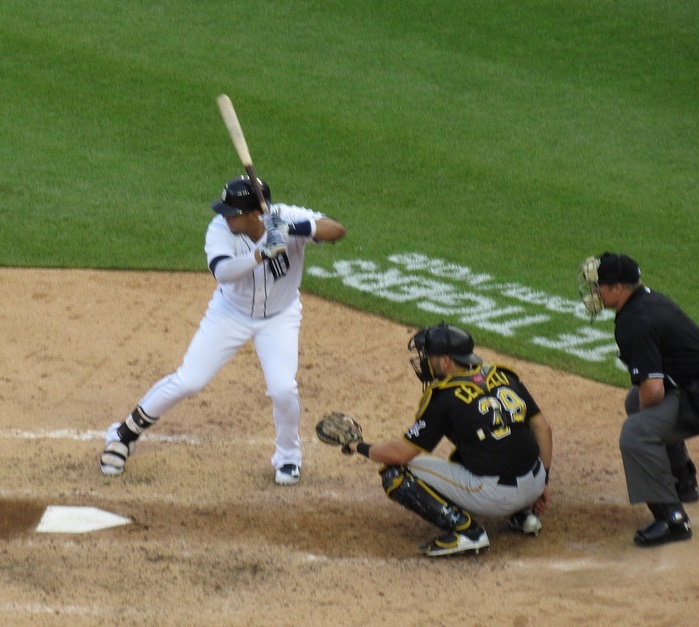 The hands and the bat travel forward during the swing. Your catcher will soon recognize they can set up close to the batter and the bat will not hit them. When a catcher is set up in a proper relationship to the batter (as close to the pitcher as possible) it increases your pitchers’ confidence and effectiveness. They don’t have to throw the ball as far to get it to the catcher, they get more strike calls and the number of balls that bounce in front of the catcher and find their way to the backstop is reduced. Teaching your catchers proper positioning will significantly increase the success of your pitchers, and your team, this spring!